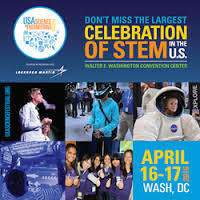 Transcend Stem Education participates in the USA Science & Engineering Festival Expo and Book Fair, hosted by founding and presenting sponsor Lockheed Martin®. The festival Expo, is an annual event designed to inspire kids to explore STEM careers, and is a perfect opportunity to get hands-on with our fun and educational STEM projects The Festival Expo takes place at the Walter E. Washington Convention Center in DC & includes more than 1,000 of the world’s leading professional scientific and engineering societies, universities, government agencies, high-tech corporations and STEM outreach and community organizations. 10:00 am -4:00 pm Irving TX - Presented by Transcend Stem This class introduces concepts that teach students how to build iPhone and iPad applications using Swift and Objective-C languages with no programming experience. Students are able to get started making their own iPhone and iPad apps by the end of class even if the students have not completed the computer science class. 10:00 am -4:00 pm Irving TX - Presented by Transcend Stem In this class students will learn the theory of the science nutrition followed by a practice class in which the students will learn churning vanilla ice cream. This is one of our students most favorite classes as they get to eat their own hand made ice cream. This class allows students to be as creative as they want with adding vanilla bean, making swirls and other fun stuff. 10:00 am -4:00 pm Irving TX - Presented by Transcend Stem Here, students will be engaged in mathematical brain teasers as a great way to give their brain a workout. This class is highly interactive, fast paced and has endless fun challenges. 10:00 am -4:00 pm Irving TX - Presented by Transcend Stem This participatory class teaches students how to use music engineering. The class will go through the basics and teach how to make beats step by step. Students will learn music theory, beat making software, hardware and strategies on how to make beats. Students will turn their beats into full songs with vocals, effects and how to get the “industry” sound that’s played on the air. 10:00 am -4:00 pm Irving TX - Presented by Transcend Stem In this fun interactive app making class, students are taught how to build an Android app. Students will learn how to create an Android project with Android Studio and run a debuggable version of the app. They will also learn some fundamentals of Android app design, including how to build a simple user interface and handle user input.